Dr Carrie Nugent is an asteroid hunter - one of the select group of scientists working diligently to map our cosmic neighbourhood. For the first time ever we are reaching the point where we may be able to prevent a natural disaster resulting from an asteroid collision. Nugent will delve into the impact asteroids have had in the past: the extinction of the dinosaurs, the earth-sized hole Shoemaker-Levy 9 left in Jupiter just a few years ago, how the surprise hit on Chelyabinsk in Russia could have started a war and unlucky Ms Anne Hodges - the only person (that we know of) in modern history to be the victim of a direct hit. Nugent will also reveal the cutting-edge work that she is part of - using NASA's NEOWISE telescope to track down near-Earth asteroids. NEOWISE has seen over 158,000 asteroids and discovered over 30,000. 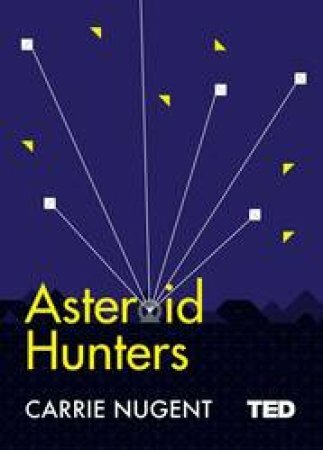 We will also get a rare glimpse into the work of this band of asteroid hunters and their techniques. Asteroid orbits are chaotic which means a small early change has a big impact later on. The successful hunt and mapping of asteroids could mean nothing less than saving life on Earth.